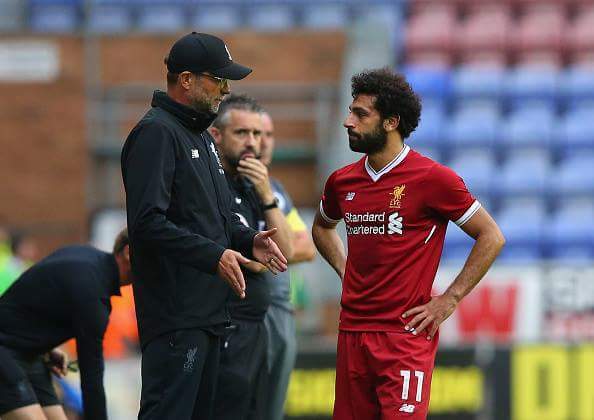 Mo.Salah set to make his Ist competitive appearance for Liverpool this afternoon. Alberto Moreno also starts after having a impressive pre season. Liverpool line up vs Watford: Simone Mignolet,Joel Matip,Lovren,Trent Alexander Arnold,Moreno,Jordan Henderson,Emre Can,Gini Wijnaldum,Sadio Mane,R.Firmino,Salah. Phil Coutinho,Nathan Clyne are sidelined due to injuries. Hopefully Reds start their premier league campaign in style.YNWA!